This is one of my favourite salads. With most people going on health kicks in the new year i thought this would be the perfect time to share it with you. This salad is great to make for something bit more fancy but still really simple. 1) Preheat the oven to 200 degrees. fan forced. 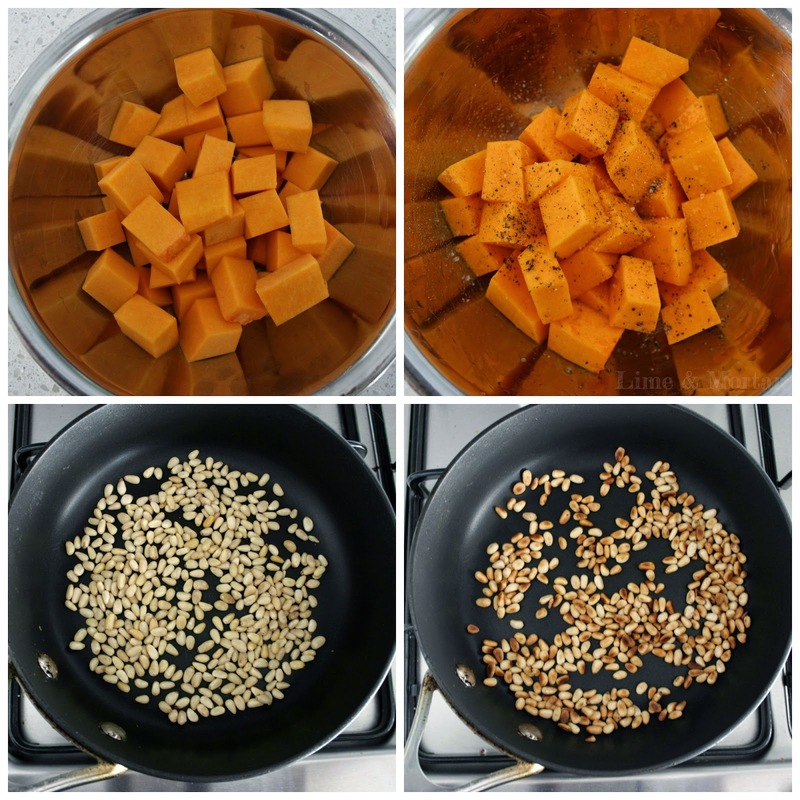 Cut up the pumpkin into small cubes and place in a bowl. Cover in olive oil and place onto baking tray. Cook for 25-30 minutes or until golden. 2) In a small non stick frying pan place the pine nuts and toast over medium heat until golden. Set them aside. 3) Place rocket onto a plate or wooden board and drizzle with balsamic glaze. 4) When the pumpkin is almost cooked slice the haloumi. Heat non stick frying pan over medium heat, spray with oil and place haloumi into the pan. Turn over the pieces once golden and cook until both side are golden. 5) Add the roasted pumpkin to the rocket on the plate, add haloumi pieces and sprinkle the pine nuts. TIP: This plate serves 2 or could be used as side dish to another meal for 4 serves. Use any dressing you like. You could even add some roast chicken or marinated lamb. One of my favourite salads, I love anything with roast pumpkin!! Haloumi I must admit is my weakness, so delicious. Love this recipe, however you can save some washing up if you drizzle the olive oil onto the pumpkin on the baking tray and toss! 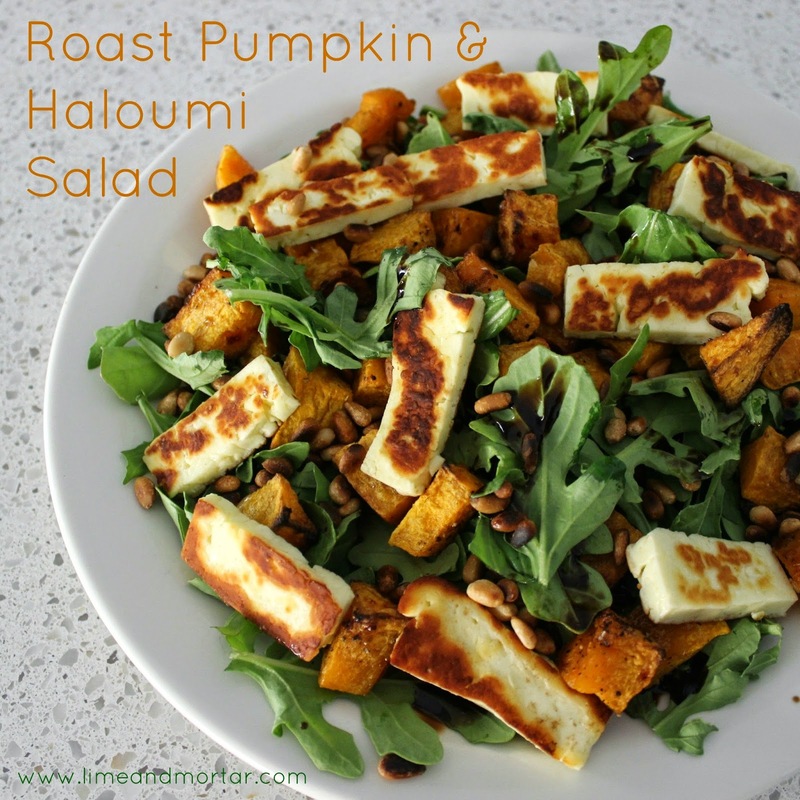 I love pumpkin and haloumi so this is totes a winner dinner! Haloumi is one of the best cheeses i agree! This is such a classic and perfect combination - love it! I'm putting this salad on the list for a dinner option next week! You had me at Haloumi! This looks great! 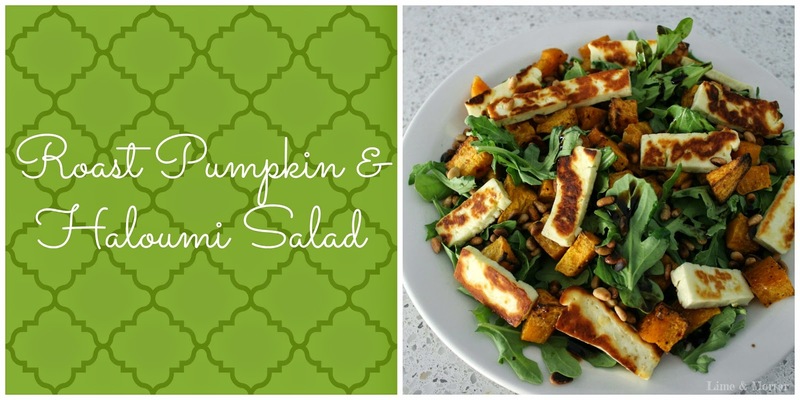 Pumpkin and haloumi are two of my favourite foods so this is a definite winner! This is my idea of perfection - I love a simple, warm salad. Nuts and haloumi make this killer good! Love all these ingredients, can't believe I never thought to put them together. Will be trying this asap. Stopping by via the Fab Friday Foodie linky! I love this flavour combination - this salad is always a winner for me. 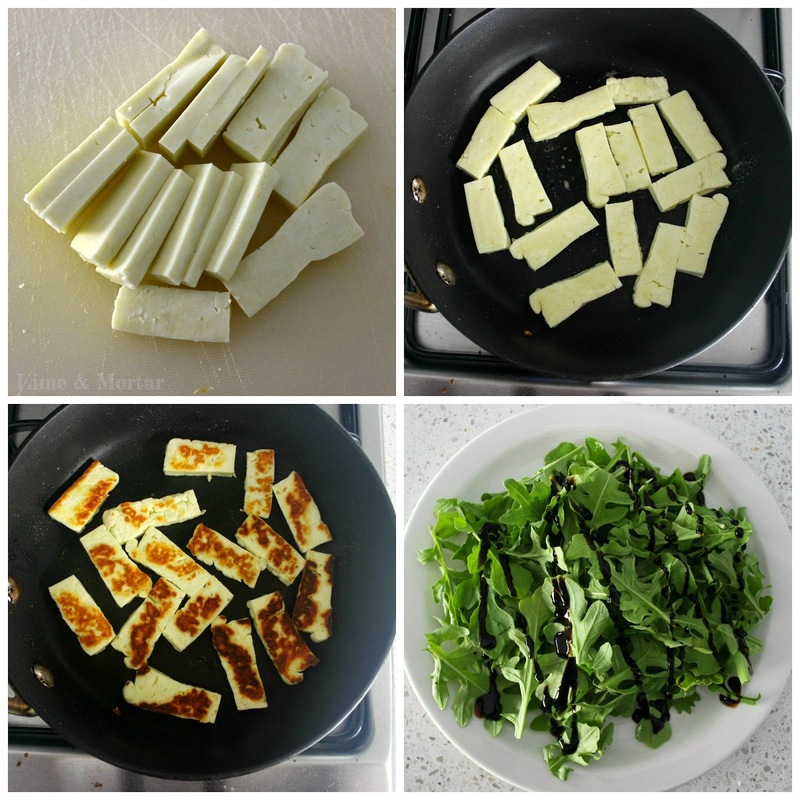 Yum, what a great combo for a salad - I love love love Haloumi! I just went weak at the knees - love this. Though I would probably be naughty and add some chorizo to it too. Welcome to my blog! A place for me to share my home with you. I decorate using affordable easy to access items. I really enjoy organising my home and planning kids birthday parties! All images belong to Leanne - Lime & Mortar. I am happy for you to feature my ideas on your blog but please use only one image and provide a direct link back to the original post. Email limemortarblog@gmail.com or use the contact form below to inform of links used.